Providing treats to your pet hedgehog is both beneficial to you and your pet. We enjoy offering the treats and watching our pets benefit from our efforts. One of the primary reasons for feeding treats to your pet is to provide a variety in their diet. The Hedgehog Diet Overview describes why variety is beneficial to your hedgehog. Different tastes and textures of foods provide enrichment as well as a source of nutrients that may be missing from its staple diet. “Hiding” or scattering dry food treats encourages the hedgehog to forage as it would in its natural environment. Dry treats are preferred over moist treats, which will spoil if undiscovered, when hiding or scattering food. Stimulating hedgehog activity encourages exercise, which is beneficial to your hedgehog’s overall health. The giver of treats is always more welcome than empty hand. A happy hedgehog is more social and will look forward to handling and interaction. Hedgehogs can suddenly stop eating due to illness, depression, or stress. By knowing their favorite treats or foods, you can often tempt a hedgehog into eating when they aren’t inclined to eat their regular food. Having a list of foods they like and don’t like will not only help you, but also your hedgehog sitter if you should happen to leave your hedgehog in another person’s care. Knowing your hedgehogs taste preferences will not only save you time and expense in a crisis situation, but it can save your hedgehog’s life as well. Refer to the selection below on the advantages of dropper feeding the hedgehog treats. We suggest waiting to give your hedgehogs treats until they are settled into their new home and eating on a regular schedule. Freeze-dried insects or live insects are good starter treats for your hedgehog. Freeze-dried insects can be started right away, but allowing a hedgehog to adjust to its new environment will help prepare it for the hunting of live food. By 8 to ten weeks of age your hedgehog should be ready for soft or moist treats. Some hedgehogs love treats, but other hedgehogs will prefer to stick to only their dry food. You may try some treats several times before your hedgehog decides to give it a try. Daily nutritious treats in small quantities are acceptable, but don’t spoil your hedgehog so that it is too full for its staple food. Once you find a food your hedgehog likes, don’t overfeed it. That way your hedgehog will continue to enjoy it as a treat rather than expect it as a standard part of the diet. Make sure you remove any uneaten portion of moist or fresh foods after four hours to prevent spoilage or contamination. Some hedgehog owners keep a journal of treats they tried and the hedgehog’s response. BEWARE – treats will change your hedgehog’s stool. Some treats may cause diarrhea, green feces, or extremely stinky feces. Feeding to many treats or even just mainly treats will make a hedgehog fat and lazy, and could even cause them to become sick. Hedgehogs that are hand fed or allowed to lick may take the next natural step and bite. Biting the hand that feeds, it is natural only when the animal is looking for more food. Your hedgehog is not as tempted to bite your hand if it associates food and treats with an inanimate object. The purpose of using small crocks or plates is to keep the treats separate from the bedding and to allow the hedgehog to find it easier. Small 3” ceramic crocks are great for soft or moist foods. It is common practice for herpetologists or reptile hobbyists to feed their reptiles using feeding tongs. Using tongs helps prevent food related biting incidents. Feeding tongs prevents strike bites in reptiles, but they can prevent chops in other animal species as well. The animal learns to associate the food with the tongs instead of the hand. They also help keep food smell off your hands so there is less of a lingering temptation to bite following feeding. We believe biting prevention and training is far easier and beneficial to your pet than trying to correct a problem or being frustrated with your pet for doing what comes natural. One non-traditional, but beneficial way to give your hedgehog treats is to offer treats through a dropper or syringe. This proactive approach to feeding is beneficial to both the bonding process of little hedgehogs as well as an easy way to train your hedgehog to accept hand feeding should the need arise as it gets older. Sick or ailing hedgehogs may have to be dropper fed their food or medication through some type of syringe or medicine dropper. Hedgehogs that are accustomed to accepting treats through a syringe will not put up a fight when they need supplements or medications later on in their life. The simplest slurry to dropper feed hedgehogs is a high quality canned cat food thinned with warm water. 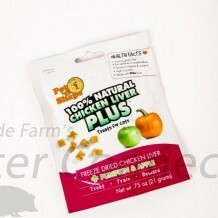 One example of a high quality food is EVO 95% Chicken and Turkey Canned Cat Food. We suggest cubing or slicing the food from the can and freezing it in small portions for later use. The frozen food can be thawed and thinned for convenient use as needed.